Teachers Rugby Football Club have a new Kit Sponsor for the 2018/2019 season. The rugby club, has found their latest kit supporter in IT Technology Company Fireminds. The partnership has allowed for the club to purchase new kit for both the men and women’s teams bearing the company name. TRFC Club President Brian Desmond commented, “We cannot thank Fireminds enough for their valued support as we prepare for another exciting rugby season. Fireminds CEO, Michael Branco added, “We are pleased to support the Teachers Rugby Football Club this season. 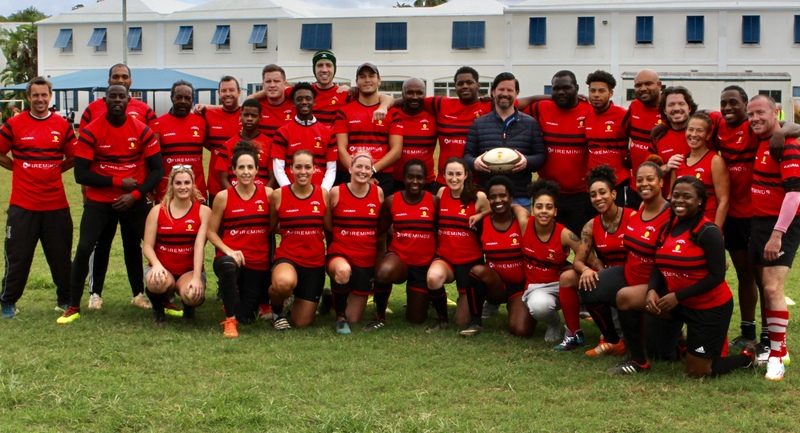 As one of Bermuda’s largest rugby clubs, with a strong youth contingent it aligns well with our continued community donations in youth and technology. “The members of TRFC are a large family who appreciate not only their teammates and the values of rugby, but also the importance of giving back to the community, something that resonates with the Fireminds team.